There was a worker on the rink pad with a leaf rake. He seemed to be trying to rake leaves from under the ice with a simple rake. It looked completely futile, and he went off the ice to get an ice chipper. 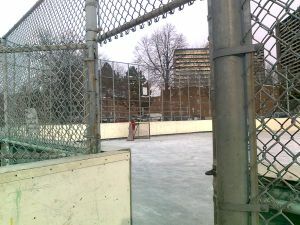 He said the rink should be open on Saturday or Sunday but that the weather was not good so 'who knows.' 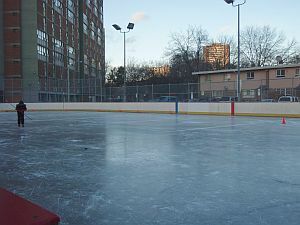 He said that they are having problems at Nathan Philips and suggested that it will mean problems for the rest of the rinks as well. 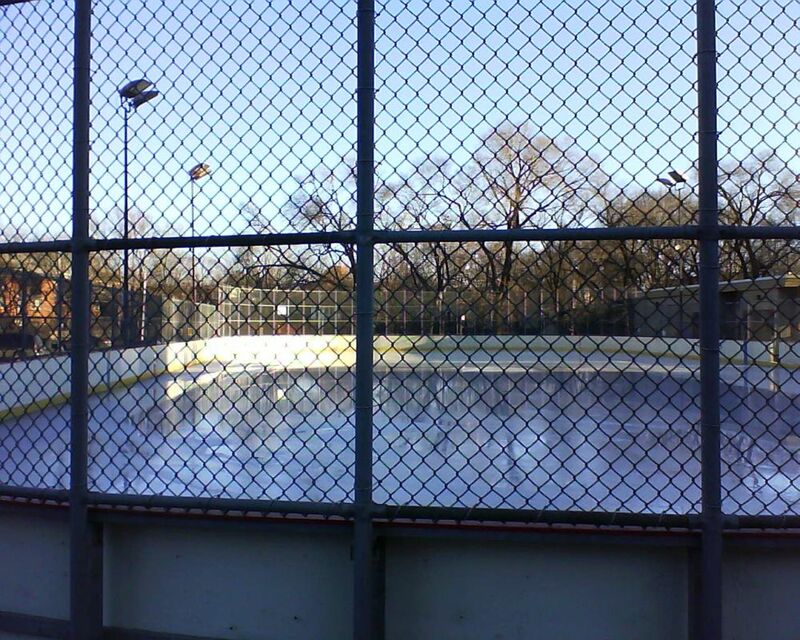 I saw the rink pad was covered in leaves and he told me that they did the best they could, but it was impossible to keep the rink leafless because there were trees right beside it. I looked at the trees and they were completely bare and had been for a while (seen in the photos of my previous visits). 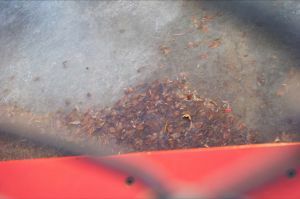 The change room was still a mess and there were still plenty of leaves outside of the rink. O.S. 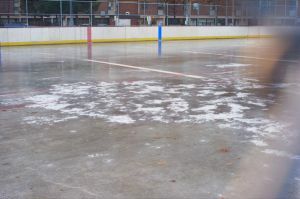 4 pm: There was nobody around and the rink was covered in ice, however it was full of white patches and leaves beneath and on the ice. Last season's signs were finally removed from the door of the change room but the room was still in an untouched state. 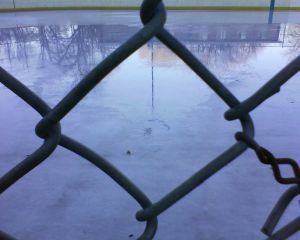 The ice looks okay. In mid-afternoon -- one skater. No signage, either. Three kids inside, with a building attendant. 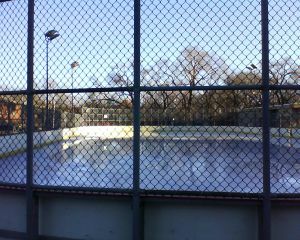 The attendant said there might have been ten skaters there all day. 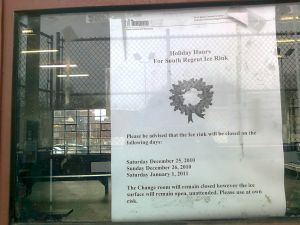 One of the kids said that the zamboni guys told him they were going to "put it on the news" that Regent South is open. It emerged that the "news" may have been letting "311" know about it. 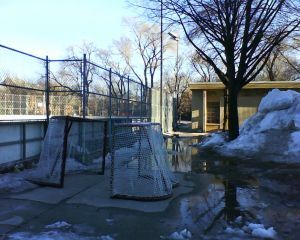 12 noon: the rink got a flood, first of the day. 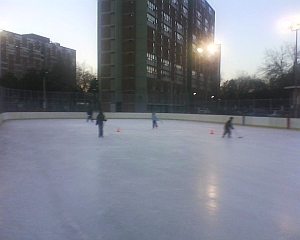 3 skaters. A mother skated with her son - who was fully dressed in a hockey uniform. 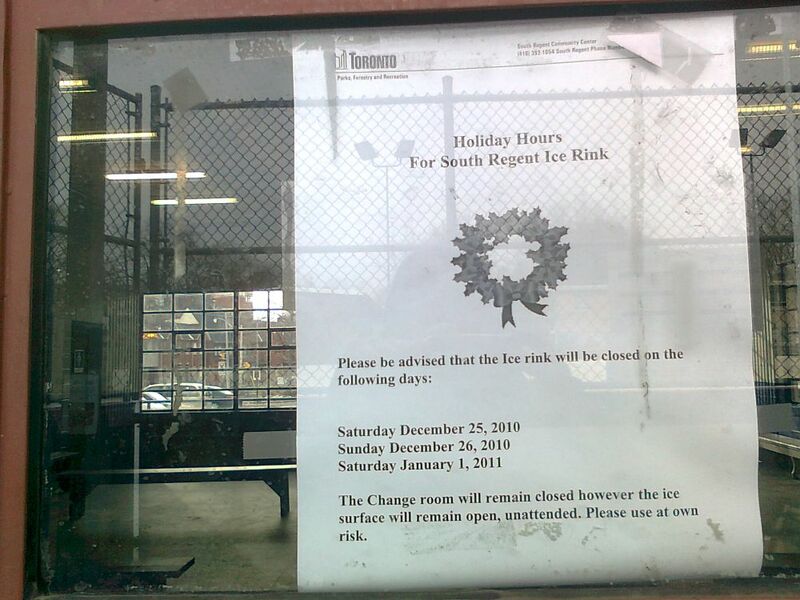 The woman said that she took a chance and came out although she didn't know if the rink would be open. She was very glad it was. 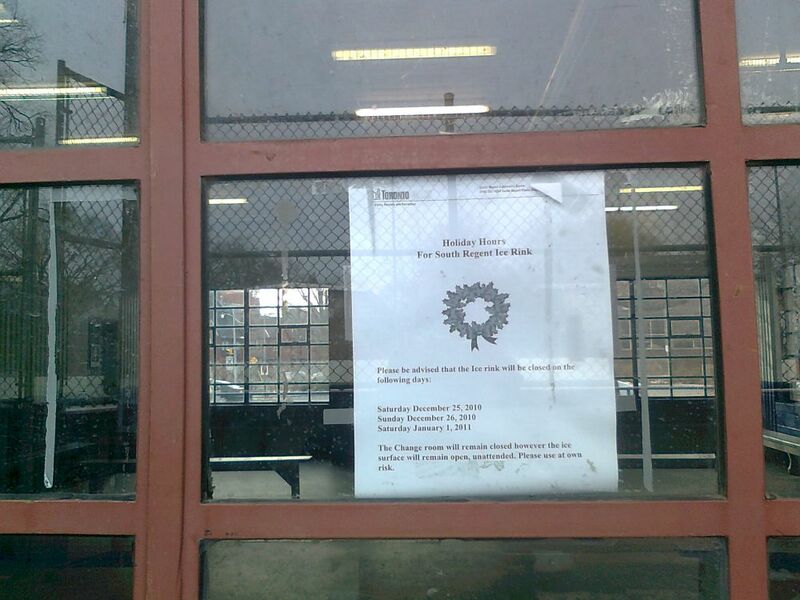 Friday Feb.18 2011, mid-afternoon. Sunny and 9 degrees. 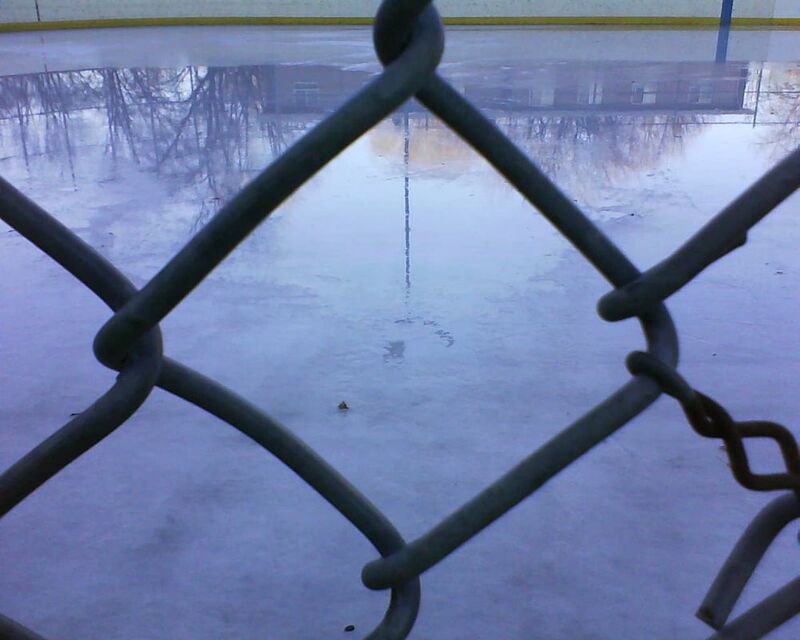 4.25pm: Rink closed. There was a member of staff in the change room. 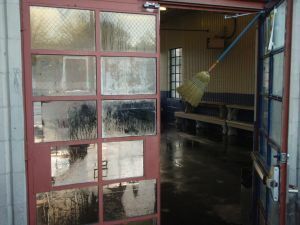 He said he hoped the rink could open again at around 7pm or 8pm. The ice was wet all over and looked rough from where the zamboni must have driven over it to scrape. Twigs and leaves had blown onto the ice in places. At about 6pm there were 22 people in the change room (11 kids and 11 adults) the kids were getting ready for shinny, plus 4 kids skating. The ice was a bit rough, like it could do with a flood, but generally ok and hard except for the edges where the ice felt like it was cracking under foot. 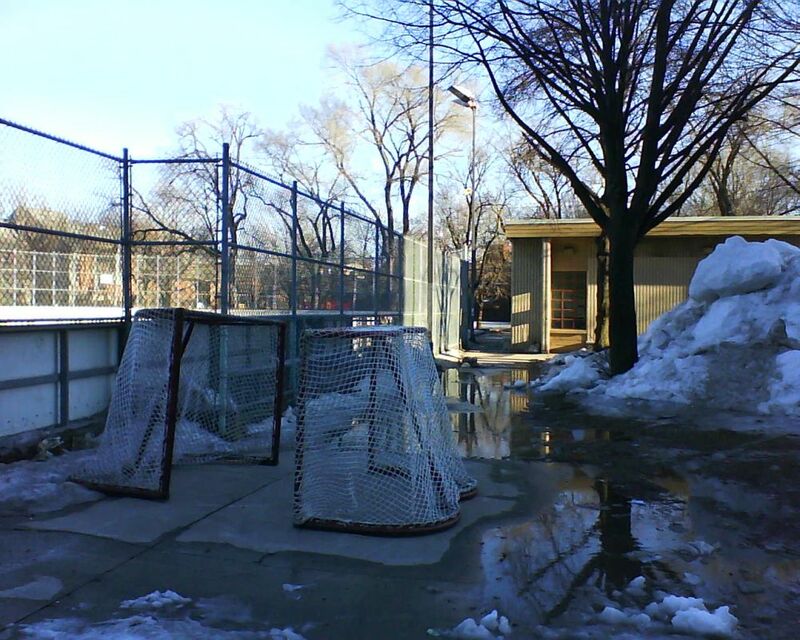 Two rink guards in the change room said the ice had turned to mush the day before. They said they expected the Flying Squad to stop by to flood at around 6.30pm.